national grid; these connections are inherently dangerous and any surge can start an electrical fire. make this plan a reality. 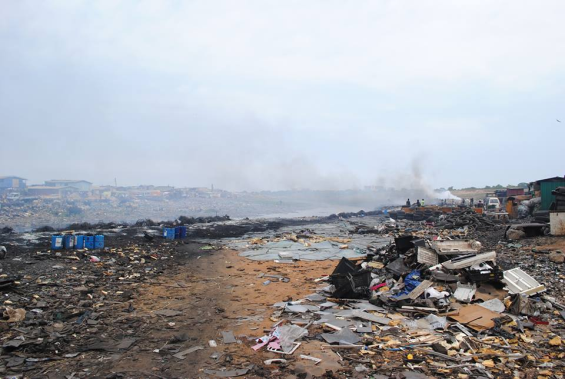 the technological gap in Africa but end up simply sitting in landfill sites. 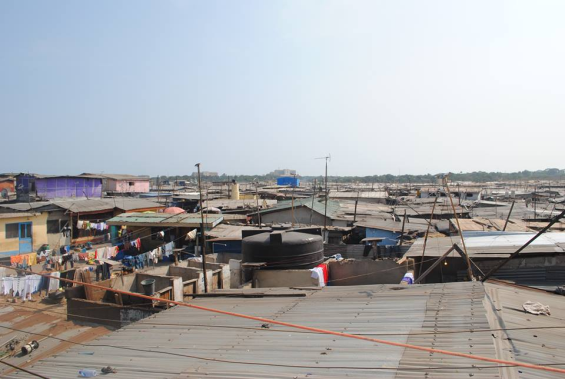 Old Fadama’s boundaries are limited by Korle Lagoon, once called “one of the most polluted bodies of water on earth” by the Public Broadcasting Service (PBS). 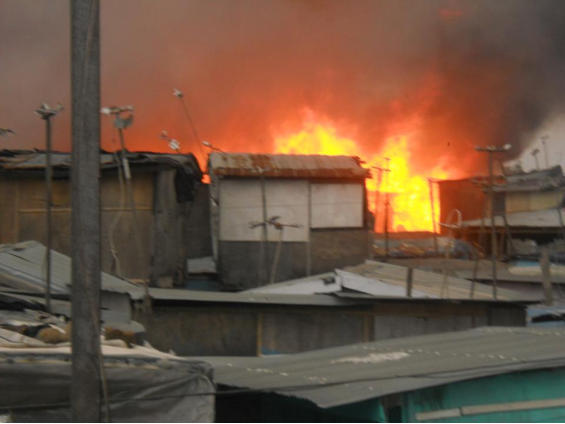 is created by the high energy costs that accompany the use of kerosene, charcoal, wood and illegal electricity. 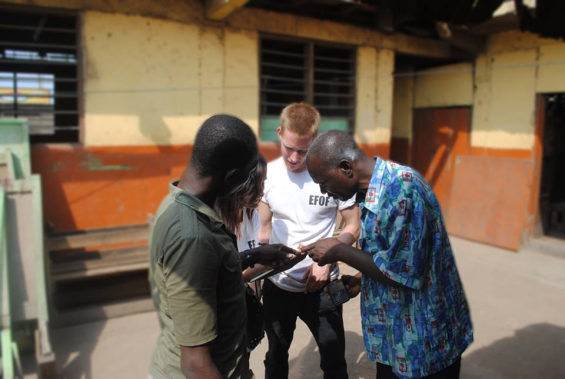 The organisation was founded in July 2012 by David Boyd, during an internship with a human rights organisation in Accra. During his internship with PAHO, David saw the aftermath of a fire that had destroyed over 3,500 homes and killed two children. Following a chance meeting with a Renewable Energy Masters student, the plan was put in place. The team has been working for eighteen months, and in that time has provided solar energy to twenty community buildings in Old Fadama: seven schools, nine mosques, two community centres, a church, and a police station. 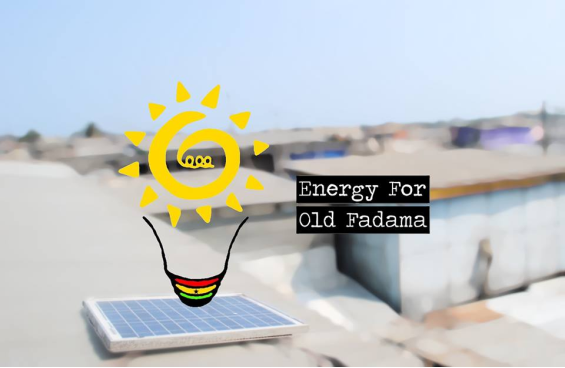 The four directors of Energy for Old Fadama have a long-term aim, not only to provide solar energy to key community buildings, but also to create employment in the slum, selling solar products to homes and businesses. There is a strong demand for an alternative to dangerous connections to the grid. Businesses, paying outright for panel connections, will provide a source of income for the organisation, enabling it to provide micro-financing to other entrepreneurs in Old Fadama. What happens next? How we want to change things. We want to firmly establish the enterpreneurial side of our social enterprise. We aim to provide a solar alternative for individuals and businesses who want to move away from dangerous connections. Through their custom, we will be able to finance other ventures aimed at providing infrastructural development in Old Fadama. We want to change how slum communities view energy. It is possible to create self-sustaining off-grid networks that can benefit their users, especially if those users have only illegal access to the national grid. We believe that, given the opportunity, the community can improve it’s own situation. We do not believe we can impose that change, we can offer a safe alternative and hope that the community sees the benefit. Thus far, we have had widespread support from community leaders in Old Fadama, Imams of the local mosques, Ministers from the local churches, and head teachers from the local schools. Our project will not solve all of the problems facing the residents of Old Fadama. Living in one of the most toxic environments in the world is not conducive to health. Other initiatives must be embarked upon, and will be embarked upon, by other organisations utilising our contacts and any help we can provide them with. We have partnered with the first Legal Advice Centre to be established in Old Fadama, as well as the only NGO based in the slum (Women In Slums Economic Empowerment), and the Old Fadama Residents Association. How Are We Going to Create the Change? Not only will we be fundraising through traditional and non-traditional methods ourselves, but we also aim to forge partnerships with corporate organisations committed to corporate responsibility. Donate! 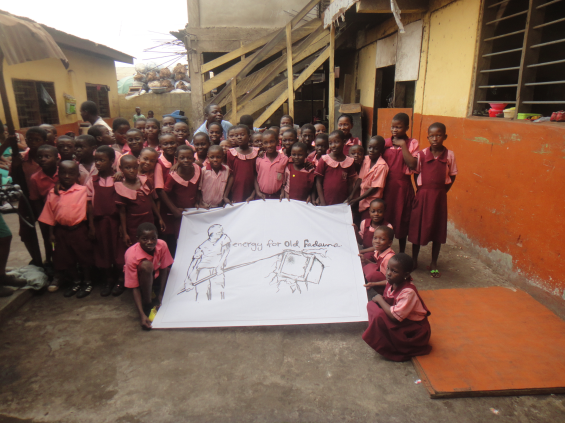 Your help can make night-classes for children possible, create safe spaces within the slum at night and support a new industry in renewable energy for entrepreneurs in Old Fadama. In addition to donating, please share our website, our Facebook page, our Twitter, or anything that helps to raise awareness. 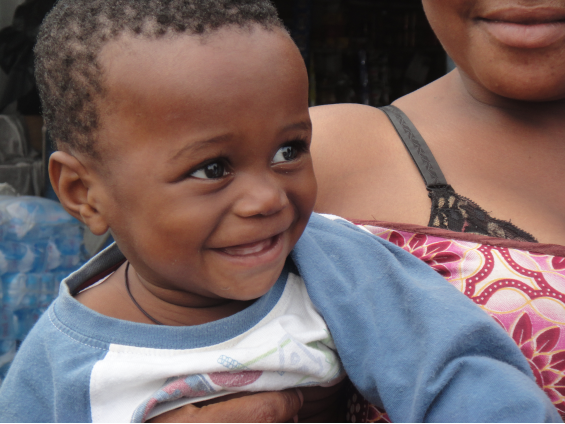 Believing in our project enough to tell someone about it means an incredible amount to us. For if someone shares it after you, we might be able to reach our goal, helping thousands, just a little bit quicker. We will also be able to empower 25 women in the slum with solar entrepreneurs selling small and portable systems, giving them financial independence and improving their quality of life. The women will also be in charge of centrally located vendor selling small systems for home use and larger systems for businesses. Like any organisation we have some small operational costs including e-commerce hosting fees, web domain charges, shipping costs and small administrative expenses. With the additional funds if our total goal is achieved we will be able to electrify the homes of the 25 women selected as solar entrepreneurs free of charge to serve as promotion for their use within the community and to improve the lives of the families involved. Donors will receive a personalised EFOF e-Thank you card. Donors will receive a signed, personal EFOF thank you card from one of the 4 founding members. 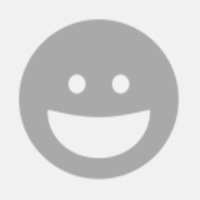 Thank you card + Have a picture of your choice, the donor, as a tile in a photo mural on our website. Thank you card + A personalised social media shoutout appearing on our Facebook and Twitter thanking you for your contribution. Thank you card + Social Media Shoutout + Being listed as a project sponsor on an allocated page on our website.